Veronika Heilbrunner is one of the coolest street style stars out there and this casual cool look is proof. She manages to pull off Converse sneakers in a laid-back yet elevated outfit that we are most definitely going to try this season. 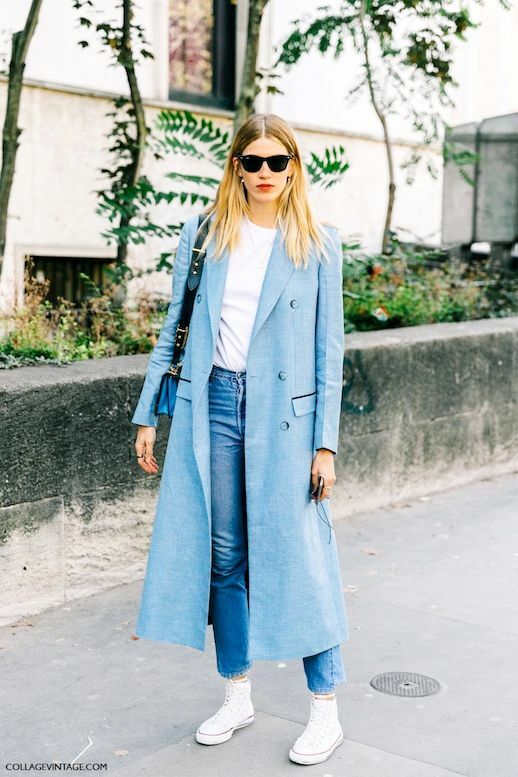 All you need are black sunglasses, a long coat, a white tee or sweater, cropped vintage-style jeans, and a red lip to top it off.